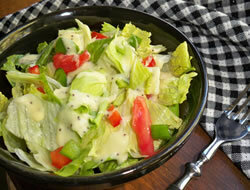 Are you making asparagus soup or even pickled asparagus? 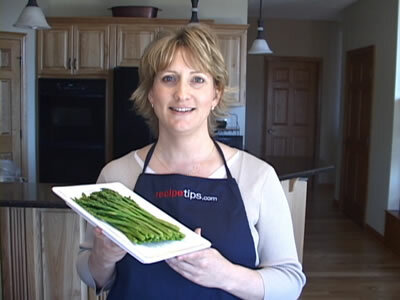 Let RecipeTips.com show you handy tips for cooking asparagus using the boiling method, ensuring that your favorite asparagus recipes incorporating boiled asparagus are a success. 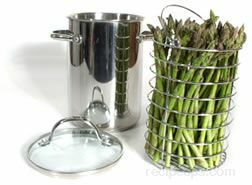 Today I am going to demonstrate how to boil asparagus. 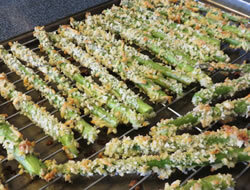 For more recipes on asparagus and how-to information, visit RecipeTips.com. 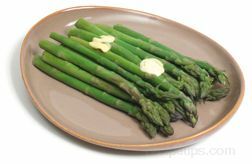 To begin preparing your asparagus, start with one fresh bunch. 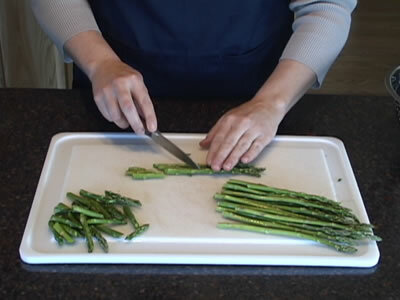 Wash the asparagus and cut off any of the tough and woody ends. 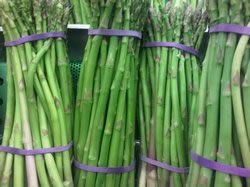 You will want to tie your asparagus into a bundle with kitchen string. 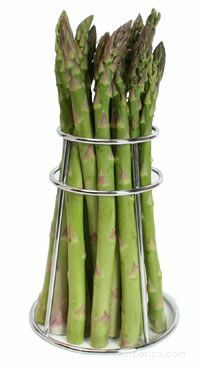 Begin by wrapping the string around the top end of the asparagus and then down around the bottom end of the asparagus, and when you are finished with that, just tie it off into a knot or bow. And it is ready to go into the pot. Start with approximately 2 inches of water in bottom of your pan. 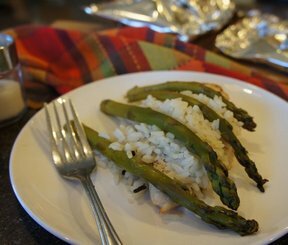 Place your asparagus bundle into the center of the pan, ends pointed down. 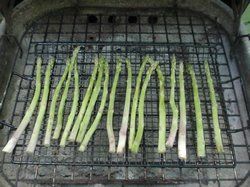 Then use washed potatoes and place them around the bottom of the pan to just help prop up the asparagus as it is boiling. 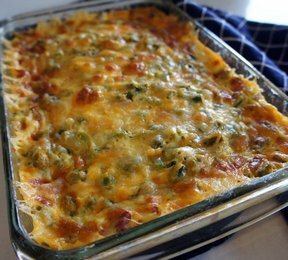 Now these potatoes can be used for a different recipe when you are finished, potato salad or mashed potatoes. Turn your burner on and bring it up to a full boil. 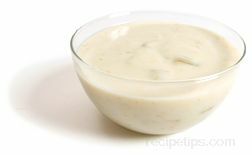 Once your water has started to boil, cover the pot with the lid and reduce your heat to medium low. 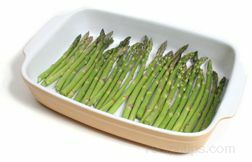 Allow this to boil for 2 to 6 minutes depending on the size of the asparagus and the desired tenderness. 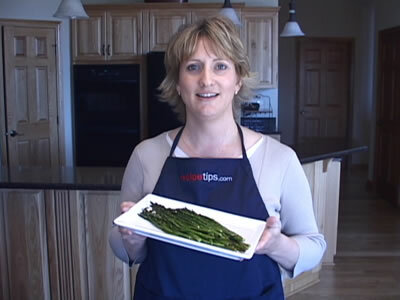 For more information on cooking asparagus and recipes, visit RecipeTips.com.